Click the pilot's name on the left to view his info! Completed ATPL(H) and Grade I Instructor's Rating in 2007. DFE I on helicopters. Completed PhD in Aviation Management in 2014. I am extremely blessed that my hobby is my day job. Studied Mechanical Engineering at RAU after school and completed PPL in 1994. Qualified as Mechanical Engineer in 1995 and as Aircraft Maintenance Engineer in 1997. Worked as an apprentice at NAC Helicopters. I have been lucky enough in my life to be afforded incredible opportunities. Not only in an aviation sense, but more so in meeting a variety of different people, visiting new places and being able to fly many helicopter types and missions. I don't believe that there is something like a 'perfect job', but being a helicopter pilot must the closest thing possible to that notion. Various types of helicopters including Bell 222 and Bell 407. Displaying the maximum capabilities of the helicopter. I have flown the Boeing 747-400, Boeing 767, 737-200,300 & 800, Airbus 340-200,300 & 600. 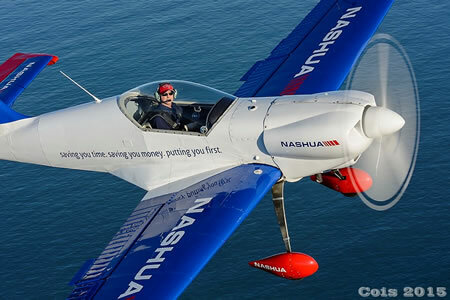 I own an Extra 300 LP ( ZS-AEC ) which is sponsored by NASHUA and I compete in the Advanced Aerobatic Category. My hobbies include trail running, golf and tennis but happiest inverted in the sky. 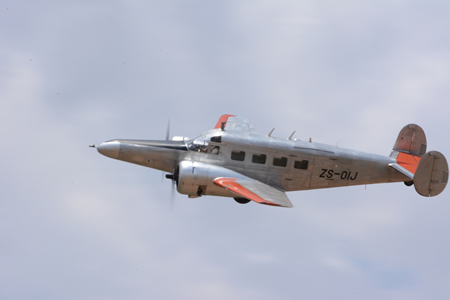 I spent 7 years in the SAAF flying Harvards, Bosbok, Cessna Caravan, and Impala Mk1 & 2. I also fly Harvards with the Flying Lions and the Harvard Club of SA. I Live in Cape Town with my wife Kyla and son Matthew. 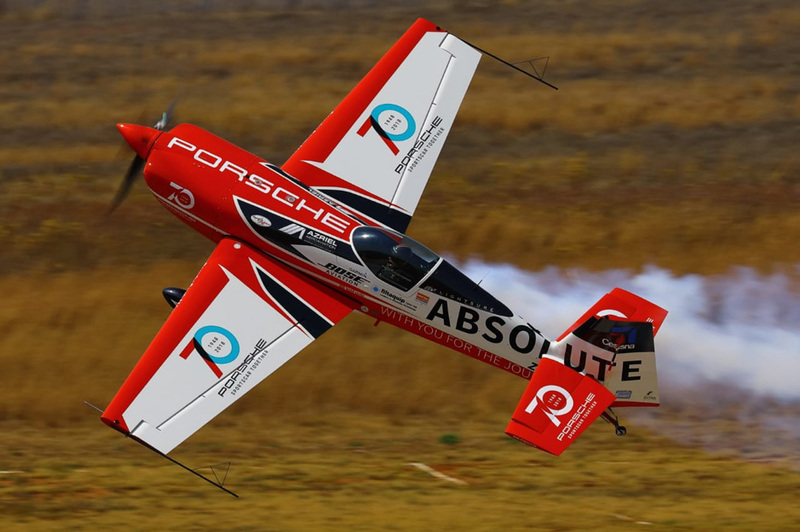 Start flying age 17, 1st solo at 11hrs, achieve PPL 1986, Started Flying Aerobatics April 2005, Sportsman National Champion 2007, Advanced National Champion 2012, Represented SA at World Advanced Aerobatic Championships 2010, 2012, 2014. Competed at World Unlimited Aerobatic Champs (WAC) 2017. Currently Flying Unlimited Class. Working on Aircraft, coaching aerobatics, riding Off Road Bikes, Water Skiing & Barefoot Waterskiing. Worked for Atlas Aircraft as an AME & Flight Test Observer, Built the very 1st Rooivalk and was involved in the flight testing of the Rooivalk and various other military aircraft. Left the industry in 1991, started my own business 1991, changed trades to Plumbing, Had the Plumbing business for 25 years, added various businesses along the way, now a group of 4 Companies. Various depending on aircraft flown. Sbach 342 (XtremeAir), Extra 300l, Zlin 50 and Extra 330 SC. 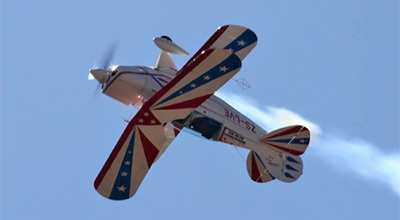 Flying Unlimited Aerobatics in an Unlimited Machine, Displaying the full Flight envelope from slow flight to high speed, and extreme accuracy aerobatics. Battle of Britain Aerobatic Trophy. Retired to fly DC 3 - DC 4 - DC 6 - Convair 440. I will fly any old aircraft. RAF Cranwell 1962-1964. Posted to fly Argosies on105 Squadron in Aden - to RAF Benson on 114 Squadron - retired from RAF in 1970 - SAA from 1971 to 2002. Various according to aircraft flown. Various Vintage aircraft but mostly the De Haviland Chipmunk. Formation display of vintage Chipmunk aircraft. The grace and nostalgia of vintage aircraft. Aerobatic displays at air shows in my ex. Military Fighter Jet. Mountain biking and Ice skating. Private person that values the balance between recreation and family life. Look out for my smooth low level Knife-Edge passes along the crowd line. International display in Harare Zimbabwe in 2014 and part of the 15 aircraft formation over Harare. 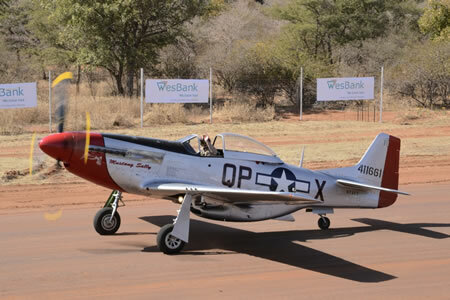 I learnt to fly in Zimbabwe, instructed there for a short while, have flown mainly tail draggers either high performance aerobatic types, or vintage Warbirds. 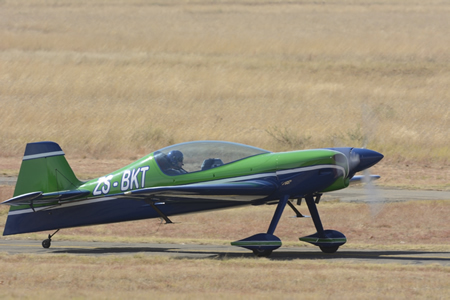 I have also been involved with the Zimbabwe Big African Airshow at Charles Prins Airport Harare in September 2014. Various depending on the aircraft flown. De Haviland Chipmunk, Pitts Special and Walter Extra 300. My displays compliments the relevant aircraft that I fly in. From Vintage aircraft to the high performance Extra 300L. 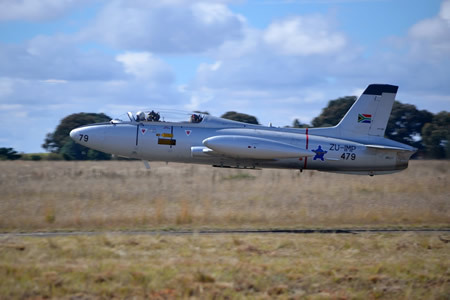 SAA Training Captain, Historic Aircraft Involvement, Display Flying. 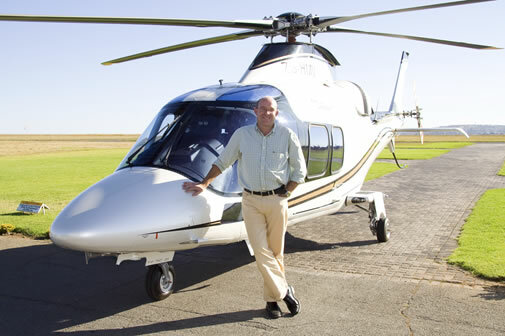 Matriculated in Lichtenburg 1966, SAAF 1967 -1969, South African Airways 1970 -2011, Hong Kong Jet 2012 -, CEO of Springbok Classic Air, Springbok Aviation Services, Springbok Air Academy, Dakota Lodge Businesses. Douglas DC-3 or Beech 18. 8 minute flat display, showing different profiles of aircraft. Represented South Africa in Glider World Championships Finland 2014, World XC Paragliding champs Spain 2006, 2007, Winner numerous Regional and National Championships both Gliding and Paragliding. Retired Commercial pilot. Started flying model planes at the age of 7, discovered gliding at Baragwanath (old) and was hooked, but had to wait till 1975 due to parents objection to dangers, 1981 moved to Power flying PPL and Commercial License, fixed wing and later helicopters. Retired in 2001 and got so bored came back as Glider instructor in 2006. Currently Head of Training for the Soaring Society of South Africa. Runs own commercial Flight School at Springs dedicated to accelerated Glider, TMG and LSA training. Full Aerobatics routine displaying that a glider can do almost all that its big noisy brothers can do, low downwind flypast demonstrating retention of energy in ground effect with a pull up turn and spot landing in front of crowd where possible. Solo'd at 17, Commercial license at 19 and ALTP at 22. Operated for Nelair on Kingair, DC3 and Learjet. Currently flying for Comair as B737-400/800 as captain. Day Job: Aircraft Engineer with Absolute Aviation, Southern Africa. Age when he started flying: Age 9 in a J3 Cub. Went solo at on his 17th Birthday. Flying international aerobatic formation displays on his father’s wing in Dubai in a three-ship display with Zoltan Veres of Hungary. Flying formation displays with the Jet Man Team (Yves Rossy and Vincent Raffet) at the 2015 World Air Games in Dubai. Flying international Airshows in China with Team Xtreme since 2014. Jason has been involved in flying most of his life. 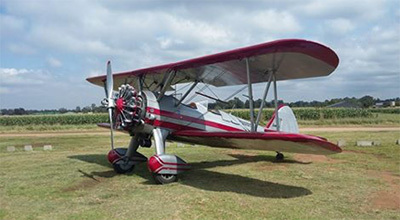 He grew up at the Toy Store (hangar at Rand airport), had his first flying lesson at the age of 9 in the family Piper J3 Cub and went solo on his 17th Birthday. 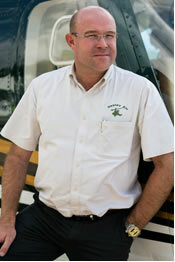 Jason worked with Pilatus PC12 Centre Southern Africa for 7 years. He then joined Absolute Aviation Group (South African Beechcraft and Cessna agents) as an Aircraft Maintenance Engineer in 2015. Jason started competition aerobatics in 2007 in the Extra 300 and then air shows in 2009 on DH Chipmunks, Extra 300′s and Yak 52′s. More recently flying the South African airshow circuit with T28's, RV's, Extra 300's, DH Chipmunks, AN2, Pitts Specials, a Boeing Stearman and a few more types on occasion. 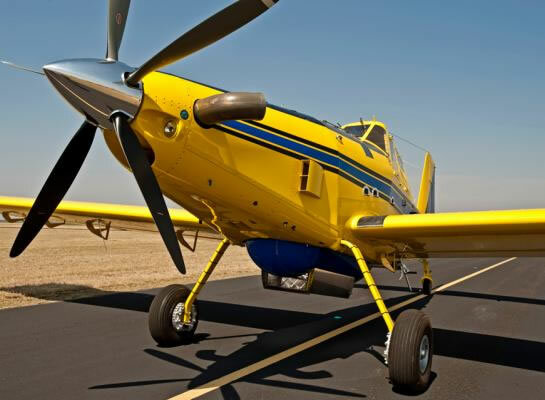 Jason is multi-engine rated, turbine rated and has a test pilot class 2 rating. He is also display rated for formation aerobatics and solo aerobatics. 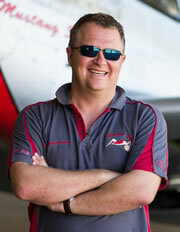 Jason is a SACAA licenced aircraft engineer, and is FAA A&P IA certified. 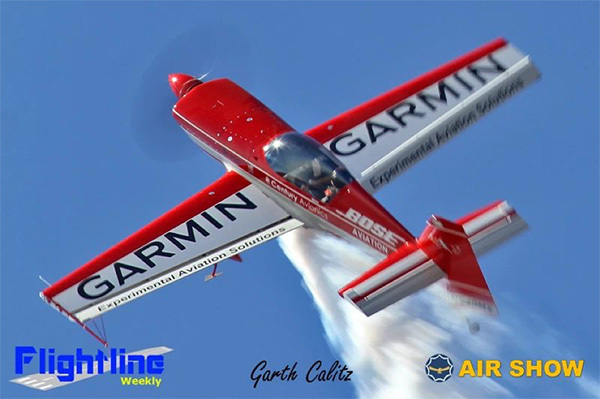 Jason is the team engineer and #3 wingman for Team Xtreme Airshows flying the XtremeAir XA42 in China and flying his new Extra 330LX in South Africa. AN2, T28, DH Chipmunk, Boeing Stearman and a few others on occasion. Awarded Provincial Colours in the first year of flying competition aerobatics. Justus obtained his PPL in 2001 and is living his dream. 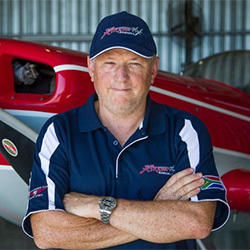 He is better known for his involvement with Glen Dell as the Team Coordinator for the South African Red Bull Air Race Team. He has qualifications in electronics, information technology and project management and in 2008 he swapped his corporate career to live his passion. 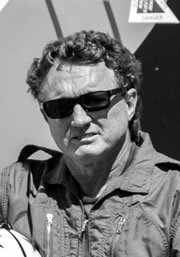 During the Red Bull Air Race 2009 season he was appointed as the CEO for Slick Aircraft Company and started worked alongside Glen to improve the already successful aerobatic aircraft. He was also instrumental in the development of an electronic engine management system that has now been implemented into the experimental aviation industry. Justus started flying competition aerobatics in 2012 and flew his first airshow in his Pitts S1S in 2014. 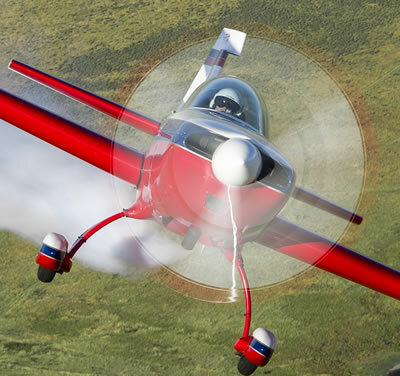 He is now the owner of Slick Aircraft Company and will soon be seen on the airshow circuit with the newly sponsored and improved Slick 360 aerobatic aircraft. 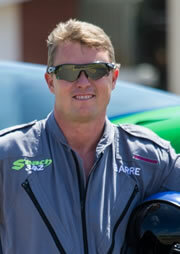 He resides in the garden city of Pretoria, and other than flying, he enjoys sport, off-roading, wildlife and nature. According to Justus, all the credit and respect goes to the late Glen Dell, for his friendship, trust, mentorship, and inspiration to persevere and follow and fulfill his own dreams. SAAF 1968 Impala course 2/68 then Harvard instructor Dunnotar 1000 hrs. Did OTC &PAI then Mirage III 2 sqn Bush war. Instructor 85 Combat F.S. 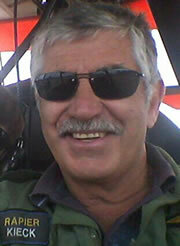 Retired from SAAF 2009 joined FFA/WOF as bomber pilot flying the Airtractor 802. ASSA safety officer and Flight director (Airboss), Aerobatic instructor, Air warfare instructor, Aerial Firefighting instructor and Display pilot and instructor. Displayed the Harvard at P.E.Airshow 1970/71 Dunnottar 1972 Cape Town 1971, did Formation aeros Hoedspruit 2007 in an Impala, displayed the Yak 52 at Durban 2007,8 and 2009 and displayed the L29 at AAD / Swartkops / Nelspruit / Hoedspruit /Zandspruit / Pietermaritzburg. Started with SAAF 1968 Impala course 2/68 then Harvard instructor Dunnotar 1000 hrs. Did OTC & PAI then Mirage III. Flew at 2 sqn during the Bush war. Instructor 85 Combat Flying School. 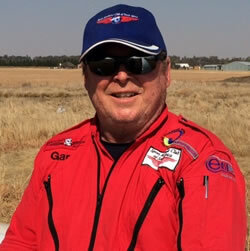 Retired from SAAF 2009 joined FFA/WOF as bomber pilot flying the Airtractor 802 and is the aviation safety manager for the company and I am also an accident investigator. Live in the town of Hoedspruit Married to Linda for 42 years 2 sons aged 36 and 33. Used to be Rapier in the SAAF. Harvard, Impala, Yak52 and L29. The whole display is a highlight for me. 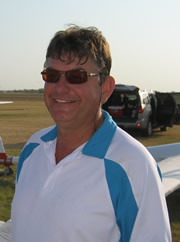 SA Aerobatic Champion 2006 and 2009. Silver medal for the South African team at both 2008 and 2010 Advanced World Championships. 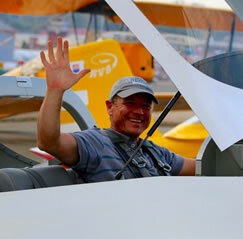 5th at the 2010 China International Air Sports Fiesta and 4th in the World Air Masters, China 2011. Mark Hensman grew up in Zimbabwe. At age of 7 he attended boarding school and it was here that his lifelong interest in aircraft and aerobatics began. From model aircraft he progressed to gliding and went solo in a glider at the age of 15. Whilst maintaining his active interest in model aerobatics and competitive gliding, Mark embarked on a career as an airline pilot in 1991. 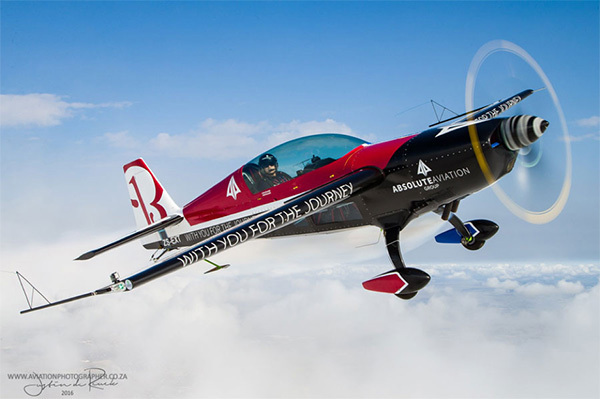 The airline flying provided the resources for Mark to begin building his first aerobatic aircraft, a Christen Eagle. In 1995 Mark entered his first aerobatic competition flying his Christen Eagle under the guidance of his mentor, Nigel Lamb. 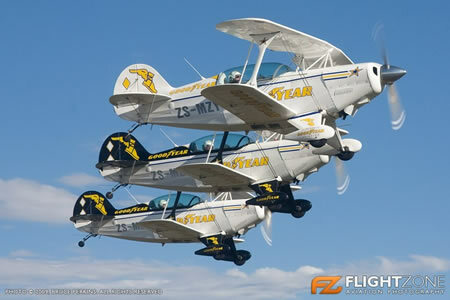 The First Advanced World Aerobatic Championships (AWAC) was held in Cape Town, South Africa. Mark achieved 11th place in the first program and 17th overall. He has competed in 5 World Championships at both Advanced and Unlimited level. Soon after, He upgraded his Christen Eagle with a Yak 55 which he restored. Then in 2008 he bought a new American all composite MX2. In 2010, after 15 years of performing solo displays around Southern Africa, Mark and Nigel Hopkins set up the well known ‘Team Xtreme' MX2 duo. 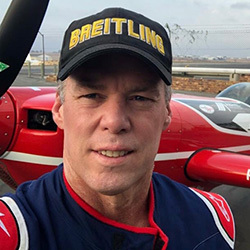 A year later, Mark decided to expand the team to a ‘4-Ship’ making it’s first debut at the 2011 World Aerobatic Masters in Dazu, China. In 2012 He ended his airline career as a Boeing 747 Training Captain in favour of pursuing his dream to run his own Aerobatic Display Team. The success of the Team Xtreme 2-Ship motivated Mark to find a partner in China to help set up a brand new world class 4-ship XA42 formation aerobatic team. The FireStars Aerobatic Team was born in 2014 and later consolidated its name as Team Xtreme Airshows. Advanced World Aerobatics 2010 Poland - 11th place overall, silver medal for Team South Africa. 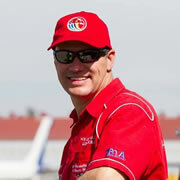 Represented South Africa at Unlimited World Aerobatics 2011 in Italy. Mark Sampson, also known as 'Sammy', grew up in Cape Town. 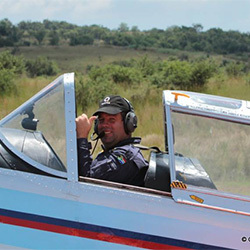 His flying career started with a PPL in 1990 before joining the South African Airforce (SAAF) in 1993 where he trained on the Harvard T6 and flew helicopters for 22 Squadron based in Cape Town. He joined the Airlines in 1997 to fly the DC9 & MD80 for Sun Air, followed by B737-200 for Nationwide. In 2001 he moved to Hong Kong with Cathay Pacific where he has flown the B747-400 & B777-200 as First Officer. He is now a Captain on B747-400 and B747-8F. Sammy joined Team Xtreme Airshows in 2014 flying the XtremeAir XA42 in China. 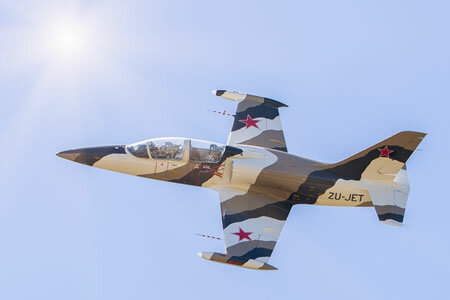 After buying his own XtremeAir XA41 aircraft the well known 2-ship team expanded and became a regular 4-ship display at South African air shows. 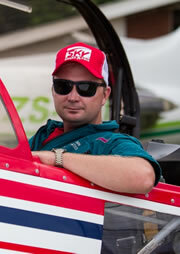 Mark says, Formation Aerobatics is the ultimate challenge of teamwork, precision flying and aerobatics. It is hugely satisfying and provides great entertainment and inspiration to spectators of all ages at airshows. Every flying experience is a highlight for me. 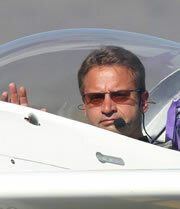 Menno Parsons started flying in 2006, 9 years later and he is a master in aviation! His passion for warbirds and helicopters has driven him to obtain many ratings as well as being the proud owner of beautiful aircraft. 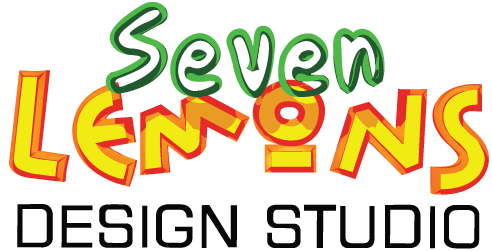 Nothing gives Menno more pleasure than to share his interest with others, especially awakening an interest in young children, giving them a reason to dream big! Each display is a highlight and I enjoy every one of them. Served in the SAAF for 22 + years and flew Harvard, Impala, Mirage III, Mirage F1 CZ and Cheetah. I Joined Denel Aviation Flight Test Department in January 1994. I have been involved in maintenance test flying since 1975 and production test flying since 1994. I have flown the Hawk and fly a DC4 part time at Sky Class. I have also flown Hawker Siddeley HS 748 and Fokker F28 passenger aircraft. Harvard, L29, L39, Impala, Cheetah and DC4. Display flying gives one a sense of accomplishment in that one must achieve the correct balance of aggression and self-discipline to produce an exciting yet safe show. 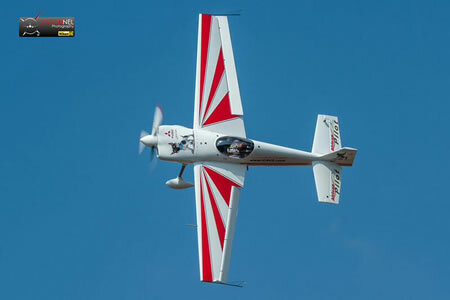 Started with competition aerobatics 2010. 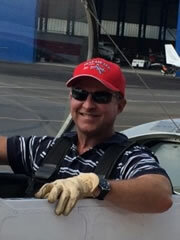 Flying my Sandown Commercial Vehicles sponsored Slick 540 at air shows in high energy aerobatics. 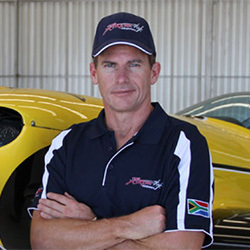 World rally flying champion (2003), vice World Advanced Aerobatic champion (2010), 7 times SA rally champion, 5 time SA Precision Flying champion, 4 Time SA Aerobatic champion, 5 Time SA Freestyle Aerobatic Champion, 4th Place at World Freestyle aerobatic Championships 2013 and 2017, Silver medal for Team South Africa at World Advanced Aerobatic competition 2008 and 2011. Nigel Hopkins was born in Port Elizabeth, attended school at Pretoria Boys High and currently resides in Centurion with his wife and three daughters. On the rare occasion that he's not flying, you may find Nigel water skiing or playing golf. 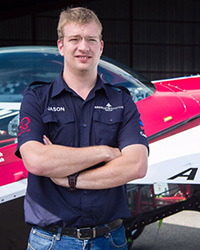 Nigel's father is a pilot and aviation enthusiast, so Nigel grew up with aviation. His weekends were spent at parachute clubs and air shows. He officially started flight training in 1991 and obtained his PPL in 1992 while working as an Air Traffic Controller. 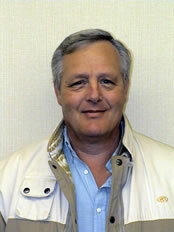 In 1993, he completed his commercial licence with an instructors rating and began flight instruction full time. 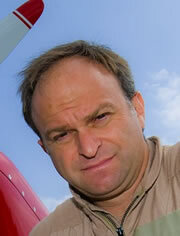 Whilst flying medical rescue and charter flights he attained his ATPL in 1994, and joined SA Express Airways in 1995. 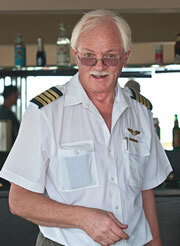 Shortly after that, in 1996, he joined SAA where he has flown a B737-200/800, B767, B747, A319/320 and an A340. Nigel is currently the Fleet Training Captain on the A320. Nigel was always in awe of the skill presented at the aerobatic displays at air shows when he was growing up, and in 1995 he took a basic aerobatic course with Scully Levin. That was the start of his aerobatic and display flying career. 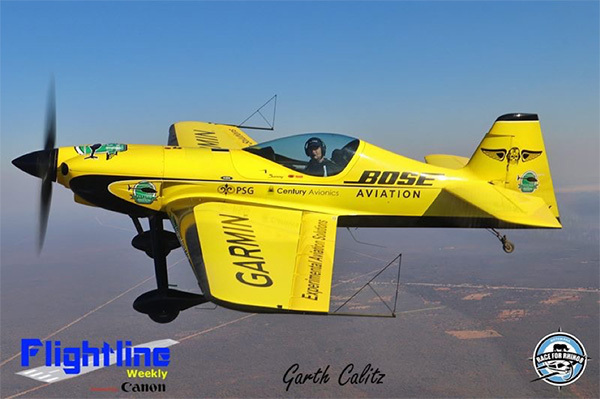 Since then he has flown for the L29 Sasol Tigers, Goodyear Pitts Specials, Northwest Extra 300 Team, Team Xtreme, Raptors RV Aerobatic Team and SAA Harvard aerobatic teams. Nigel owns an Extra 330SC and has a passion for aerobatics which he believes is the purest and the freest form of powered flight. World Gliding Champion Open Class 2001. 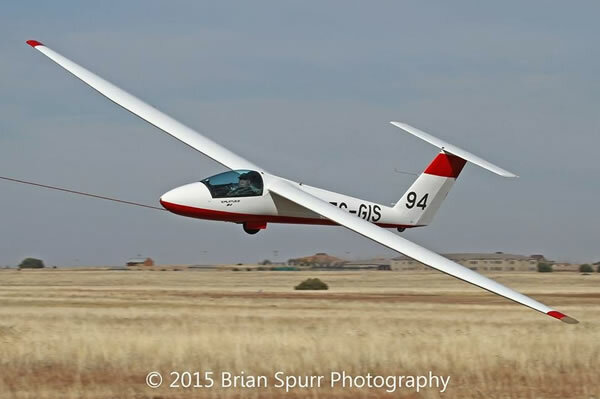 First Solo 1982 at Goldfields Gliding Club, Represented SA in World Gliding Championships since 1991. 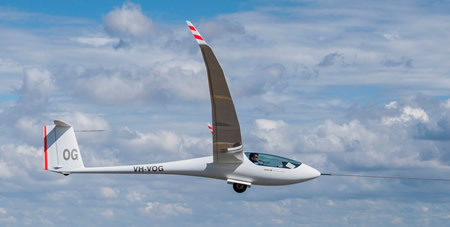 The grace and silence of glider aerobatics. 2014 3rd place at World Aerobatic Championships, Aeroclub South Africa Pilot of the year 2014, South African Unlimited Aerobatic champion 2014. Patrick's biggest passion is his flying and his family, to keep fit he enjoys playing squash and he is a keen fisherman. Patrick comes from a family of aviators with his grandfather Doug Davidson and his father Stu Davidson both being well known in the aviation community. He has been involved in flying from a very young age and officially got his PPL on his 16th birthday in a Harvard T6. He runs their demolition and excavation business along with his brother Nicholas in Port Elizabeth and whenever there is free time you will find him in the sky. To display a vintage war bird such as the P-51 Mustang is a highlight in itself. Flying the SU-31 and the Extra 300, which are both high performance aerobatic aircraft, gives one a serious work out and you feel exhilarated after completing a high energy display. 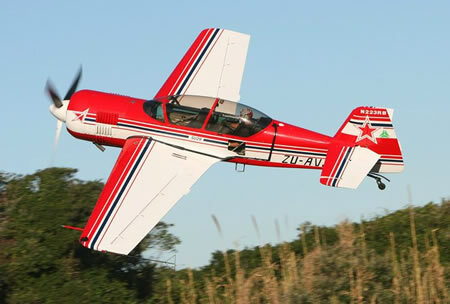 Won the RV title in 2009 Aerobatic Nationals. Started airline flying in 1997 with SA Express and moved on to SAA in 2000. I am married to a wonderful woman, Linda, who is very supportive and understanding of my passion for aviation. I have 3 beautiful daughters who love to share the joy of flying with me. Close formation aerobatics in the Kitty Hawk team flying my own, home built, RV-7. 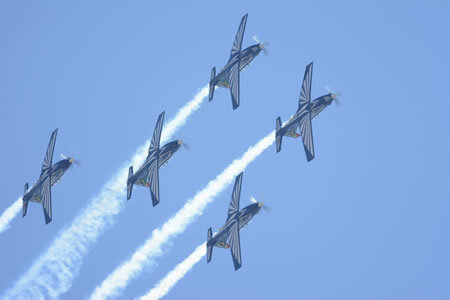 South African Colours Aerobatics, Commercial IR. 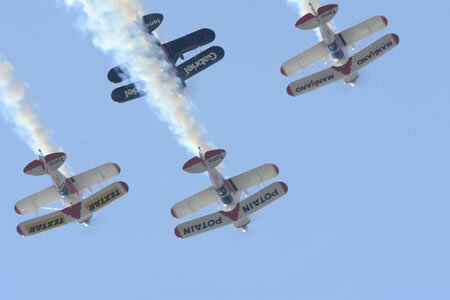 I have always been attracted to aerobatics from a young age after attending my first airshow. I enjoy the accuracy that aerobatic competition demands and the thrill of display flying in front of an eager crowd. High energy display emphasising the outstanding capabilities of the Russian built Sukhoi SU29. 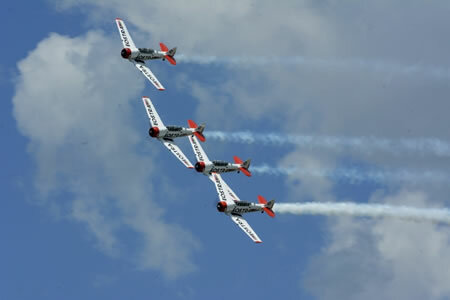 Display Type: Formation Aerobatics in Vintage Warbirds. Very difficult formations such as Line abreast loops. The sunset show which is executed with smoke and lights as the sun disappears behind the horizon. The Switchblade maneuver and many other opposing passes and high energy formation aerobatics. The whole display is a highlight. From taxing out to shutting down is a complete team effort and we absolutely love performing our Display at the various air events. These displays cannot take place without the commitment and support of our ground crew. The whole team, Air and Ground crew, is made up of volunteers and practice takes place in private time. 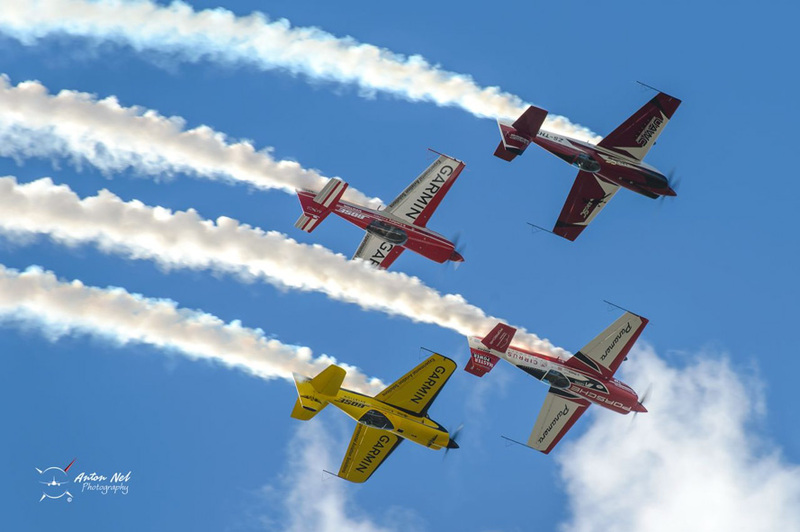 The Team performs a high-energy dynamic 4-ship air display of formation & freestyle aerobatics, cross-over passes, synchronized aerobatics and solo gyroscopic manoeuvres. The Aerobatic Team pilots have a combined experience of over 48,000 flying hours and have performed more than 120 air shows in Southern Africa and Asia since 2010. 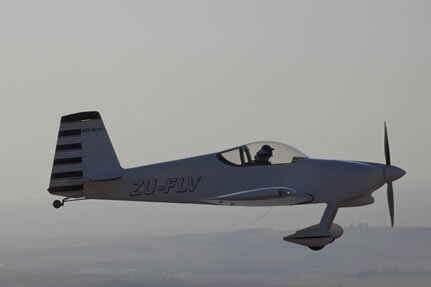 The South African Team were voted in the top 3 civilian Aerobatic Teams at the inaugural Formation Aerobatic Challenge (FAC 2017) held in Zhengzhou, China.